Please welcome Tabatha of Turn Right at Lake Michigan. She and her husband own an old home that needs some extra TLC but her blog is a bit of a twist: she is renovating with an eye to sell and move away in a few years! Today she is sharing the transformation of her spare room litter box into bold baby space.  I’m more than excited to be guest posting for Mrs. Limestone! I’ve loved her blog since I figured out what Google Reader was, and I’m so flattered that she decided to let me share my little before and after with you. However, my cats decided that the guest room was the same as a giant litter box. We were told the previous owners didn’t have pets, but somehow in not taking up the previous padding, a smell my fur babies couldn’t stand permeated through to their little noses and rear ends. Despite our best efforts (and due to a door that never quite latched correctly), we couldn’t keep them out of the room, making it not very visitor-friendly, if you catch my drift. Eight short months later, we found ourselves expecting again – our daughter. And we had to face facts – we needed that spare room, and we needed it cat-smell and clutter free. So in the middle of a humid Midwest summer without air conditioning, my husband, his friend from work, and myself went about transforming the spare bedroom into a space fit for our sweet baby girl. Which he then stained himself, as well. I should let you know my husband is a high school social studies teacher, and not the most handy, so this effort was nothing sort of astounding. Usually I’m the one hanging drywall, tearing up floors, tiling things, etc, but being in my third trimester kept me from simple things like bending at the waist, so it was up to him to pick up the hammer in my stead. My sister generously purchased the crib bedding I lusted after (Pinwheels in Lilac by MiGi), which set the simple color scheme. A trip to Home Depot secured paint (Behr’s Exotic Purple), and my wonderful husband went about painting the 10x10 room, refusing to let me help on anything but the baseboards. We had purchased a (new!) crib on Craigslist that matched a changing table we already owned, and we found the perfect dresser (Edlund) at Ikea. By the generosity of my mother, we were able to spend more than we initially anticipated on the décor aspect of the room, which meant I spent a lot of evenings scouring the Internets for the perfect things. Over a few weeks of waiting for online purchases to arrive, the makings of my daughter’s room sat in boxes strewn about our home, keeping me from feeling like much was actually being accomplished in making space for the baby I was about to drop any day. The rocker and zebra carpet were items previously located in my son’s room, but with his approaching toddlerhood we felt safe in moving them out of his space and into another. (They’re both now discontinued, but the chair was Amy Coe for Babies R Us and the carpet was Dwell Studio for Target.) The shades are old Ikea that were already in the room; the valences are MiGi we found at Target, and the curtain covering the closet is Liberty of London for Target. The flowers and birds were found at Amazon and Urban Outfitters respectively; the lamp, piggy bank, green tins, and brown picture frame were Target finds; the birdcage and bookends were thrifted; and the purple lantern and white vases were decorations left over from our wedding. These frames were all from Target – and obviously I’m still working on finding the perfect things to put in them. The mobile is also from the Pinwheel line from MiGi. And those two teddy bears peeking out are the childhood companions of my aunt and myself. The totes are also Liberty of London for Target – I’ve even bought the toddler bedding to match so things transition smoothly when my baby girl isn’t a baby anymore. What can I say, they had a Black Friday sale in July and the deals were too good to pass up! Baby’s first calendar and Liberty for London curtain, both from Target. Green doorknob tie back from Urban Outfitters. There was a purple one, but shockingly I thought that might be overboard. I’m glad I went with the green. And lastly, the existing floor grate cover, spray painted white to match the décor, and a close-up of the stain color, which was equal parts Minwax Ebony and Jacobean in semi-gloss. So there you have it – the room in my house that’s gone through the most changes in the three short years that we’ve been here, and which now is the sweetest bedroom for my much-loved daughter. I hope you enjoyed my little before-and-after, and if you’ve made it this far, thanks for sticking with me until the end! Wow, that is a fun nursery, that little girl is going to be lucky to have such a fabulous space to rest and play! Adorable! Your husband did an amazing job on those floors! That animal smell is hard to get rid of without tearing up carpets. We just went through the same exact thing. Once they smell it, even if you can't, they still can! We just decided to go the hardwood route as well. Not worth the constant shampooing! And I love the idea of a bold purple for a baby girl! Love the pattern on the curtain/storage bins as well! I adore seeing unexpected colors used in a nursery, and this bold purple is no exception - such a lovely hue for a beautiful baby girl! This room was carefully assembled, and it shows. I, too, am a big fan of the hardwoods - so gorgeous and shiny! Can't wait to see what you guys do next. Thanks for all the kind words everyone! And thanks again to Mrs. Limestone for letting me guest post! @Morgane -- I was unaware of that recall, but I'll for sure look into it the next time I'm there -- the closest one to us is an hour away. But thanks for the heads up! I lov ethe purple walls in contrast to the foral print of the curtains- very dramatic! This totally has nothing to do with baby girl's awesome and totally perfect nursery, but I'm lusting after the vanity in 6th picture. The one with the mirrored drawers. LOVE. I think I need it. This is fabulous!!! The purple is beautiful!